Do you bounce? Do you bounce back? Time for bouncing. 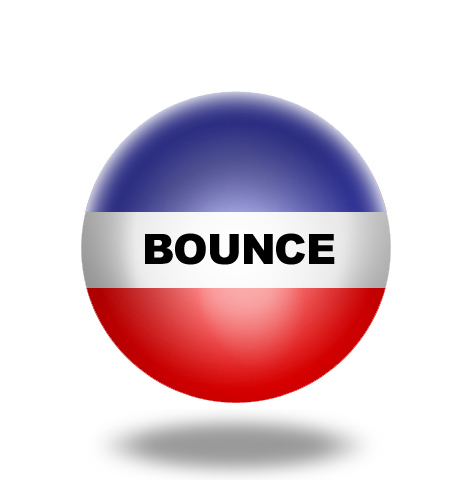 We can always bounce yet in uncertain times and economic upheaval I believe we need to have even more bounce. If we can’t bounce we will get stuck and unable to create movement with our work. Bounce is what puts energy into our work and transforms effort into engagement. Defining bounce. Some of the definitions of bounce include to spring back, to move up and down, to come back, able to rebound, leap, a light self-propelled movement upwards or forwards, and rebounding from an impact. When we are engaged we bounce. We move upwards and forwards, we move up and down, we spring back, and we rebound from an impact. I like the idea of thinking of engagement as a light self-propelled movement upwards and forwards! The give and get of bounce. As a child I played with a baseball glove and rubber ball. That rubber ball was the inspiration for the image used for this series of The One Ball posts. I loved to throw the rubber ball against our cement front steps. If the angle was right and the toss was true it was like pitching in baseball and the ball would instantly bounce back right into my glove. It was both captivating and engrossing to be able to throw something and have it come right back. The One Ball is not limited to a real rubber ball. Do you give and get bounce? What do you throw away (give) that also comes back to you (get). Do you pay enough attention to this dynamic in your work? “optimism” is actually misrepresented. A word coined by 17th century philosopher Leibniz, its original meaning was actually “optimal”, to signify the perfection of the universe as it is now – in other words, being in the moment, and deciding to accept things as they really are. Val is a painter who describes her approach as “I aim to convey the pleasures of looking, and, without irony, I propose that optimism is a viable impetus for painting. If optimism can be a viable impetus for the art of painting, and Val does it very well, I believe optimism is an essential impetus for work. The core strength of acceptance. Although bounce implies movement there is something solid at the core that helps create bounce. Can you live your optimism by being in the moment and accepting things as they are. To me, acceptance, is the core strength from which bounce originates. Conversational Bounce. Good conversations also have lots of bounce. When we feel safe and work towards mutual purpose and mutual respect we are able to bounce ideas off of each other and develop results we never may have imagined on our own. Who do you play conversational bounce with? Who can you throw your thoughts at and have them return stronger and more advanced? Bouncing Baby. When my 3 children were small they loved to be bounced. They were the proverbial bouncing babies. As they grew older they loved to bounce on their beds and on the sofa. I believe we are made for bounce. Have you kept your childlike enthusiasm for bouncing or have your become brittle both physically and psychologically? Go ahead and get bouncing. Trampoline effect. As we learn to bounce it is amazing how much altitude we can generate. Ensure that you can bounce psychologically and in relationships and take a good look around when you reach new altitudes. Many children can bounce for hours on a trampoline fully engaged in the movement and enjoy the process. Discover or create the work that will keep you fully engaged and bouncing well into retirement. when you hit the bottom.